RO Models workshop is on the final stages of preparation of the series of TATRA-111 models in 1:43 scale. 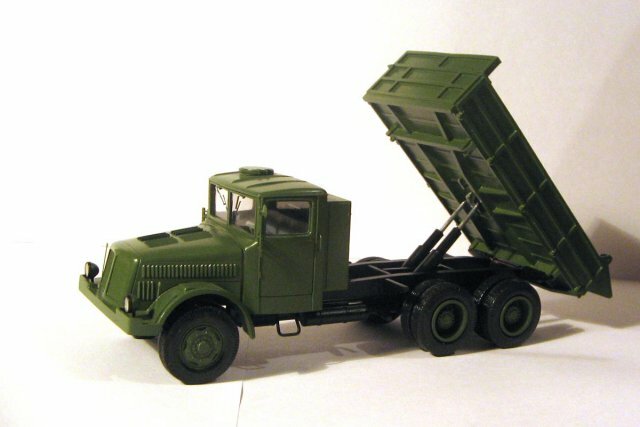 The quality of these models will be similar to the models of TATRA-138 and TATRA-148 that have been made earlier. RO Models will offer us in 2010-2011 civilian, military (WWII and post-WWII), as well as construction vehicles on that chassis. TATRA-111 is a part of a larger TATRA program developed by RO Models that will be released later. Picture from the workbench at RO Models: 1:43 TATRA-111S2 under construction. TATRA-111 first saw light in 1942. 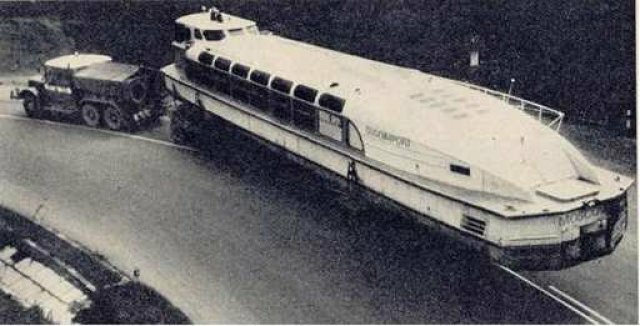 It was the result of a long succession of modifications to the design by Hans Ledvinki with the central spine beam frame. 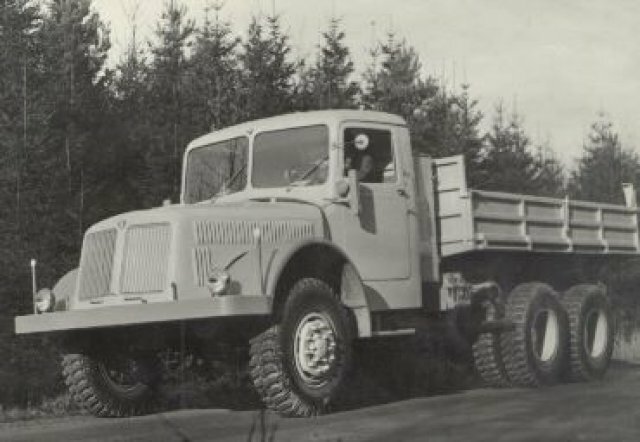 This heavy truck had independent suspention of all wheels and 12-cylinder air-cooled engine The suspention guaranteed high cross-country capability. TATRA-111 was unmatched in cross-country speed back in its day. TATRA-111 could remain operational without one of the front wheels (!!!). 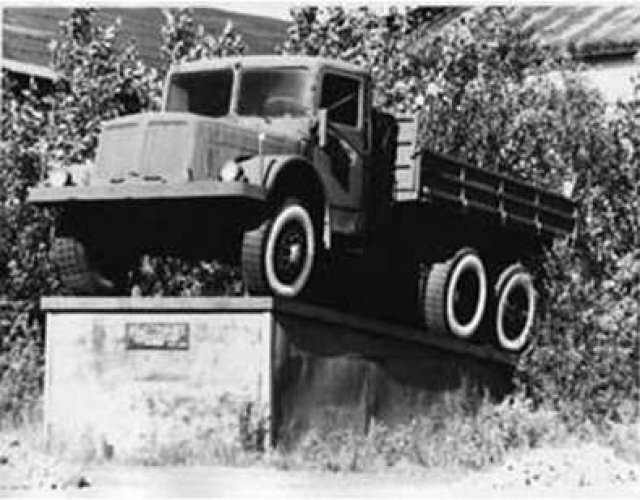 Early on the load capacity of the truck was 6.5 tons (matching that of Mercedes-Benz L6500), but later was increased to 10 tons (to match that of Mercedes- Benz L10000). 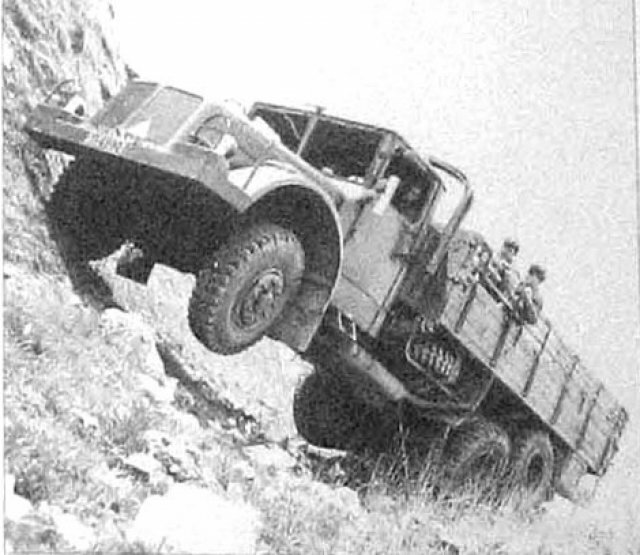 In Greek stone queries TATRA-111 was sometimes loaded to the point when the front wheels hung in the air. Before 1945, TATRA-111 served in Wehrmacht. 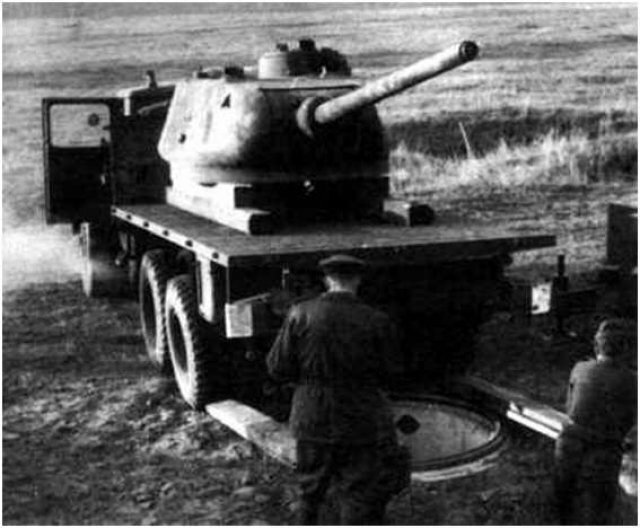 In 1945 it was accepted in the service by the Soviet Army. 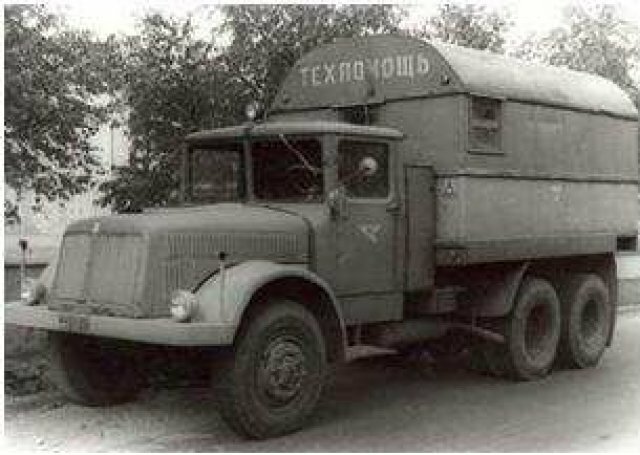 Starting in 1949, TATRA-111 was widely used in civilian works in the USSR. 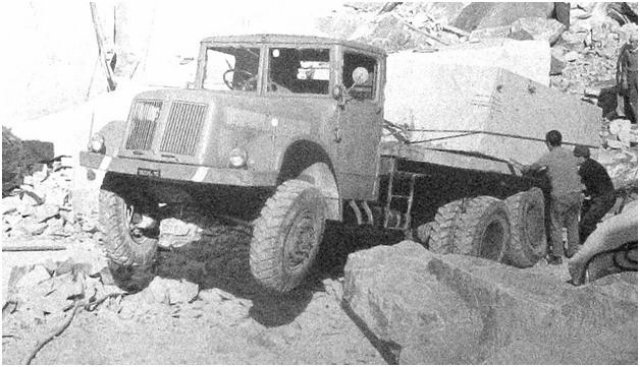 TATRA-111 was virtually the first heavy truck that was used to build the industry in Siberia after the WWII when these vehicles were sent to worn on gold mines in Yakutiya. Overall, more than 8,000 TATRA-111 were sent to the USSR. The vehicle proved itself to be very reliable and survivable. If such truck went under the ice, it would be recovered, checked, started, and DRIVEN to the garage. 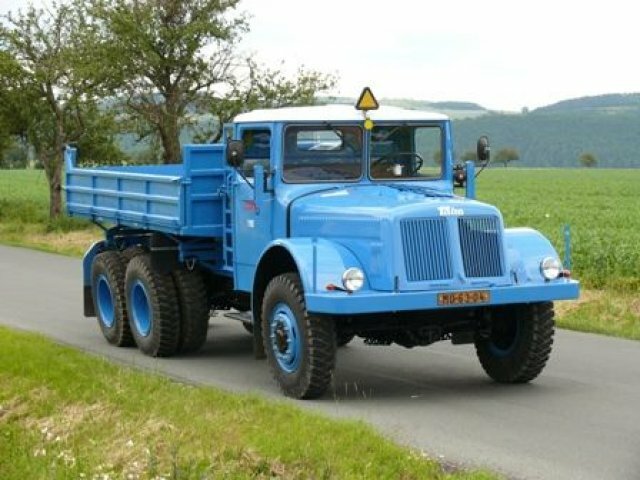 TATRA-111 was often used as a tractor trailer for heave vehicle trains when it was important to deliver as much cargo as possible in one trip. 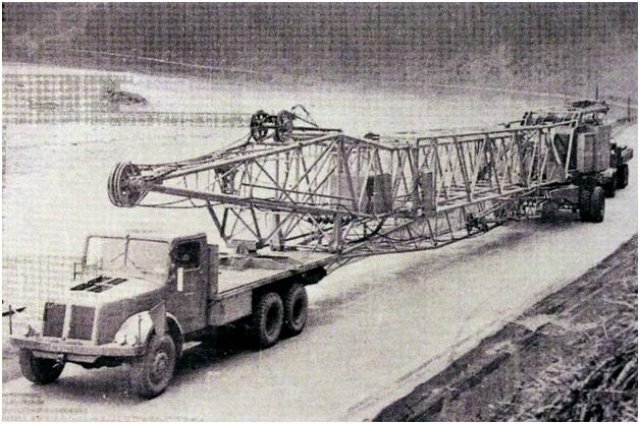 In some cases, upto four trailers were hooked to a single TATRA-111. Sergey Andreev from the Primorie region of Russia (Siberia) recalls that he saw a lot of TATRA-111S2 with wooden cabin and metal dumper. 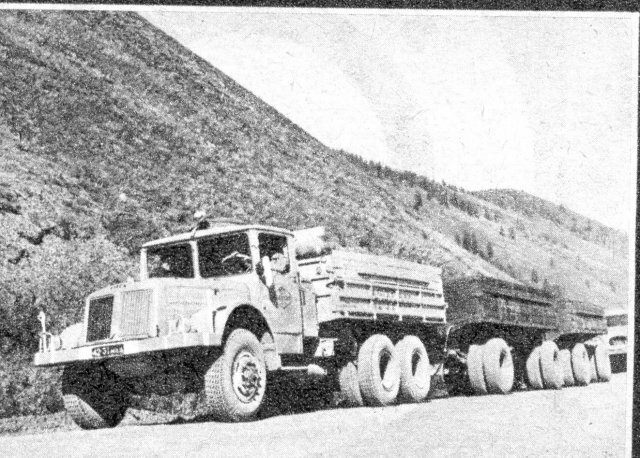 These vehicles were cerrying coal over a distance of 160 km (100 miles) across cross-country terrain, mountains. Originally they were operating with one trailer each. 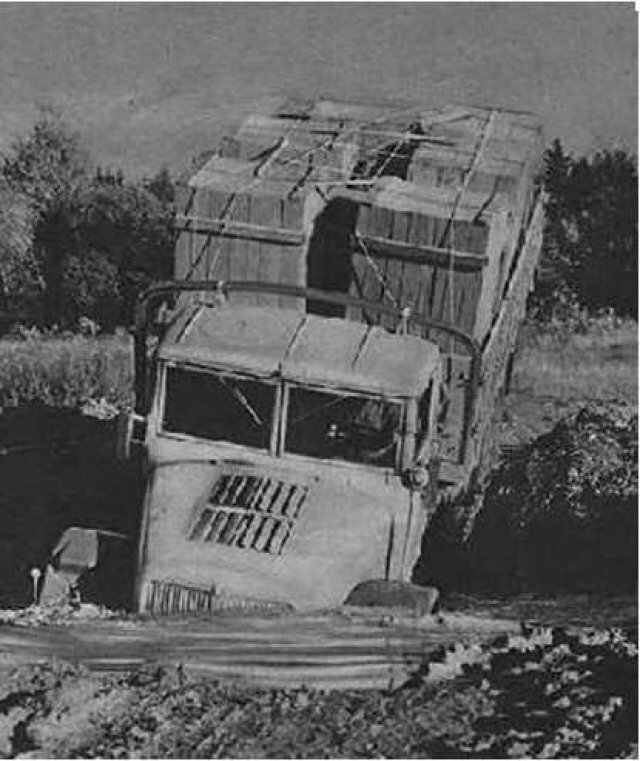 Later the number of trailers was increased to 2, then - 3, and finally - 4. That caused several engine failures, and the super-trains were cancelled. 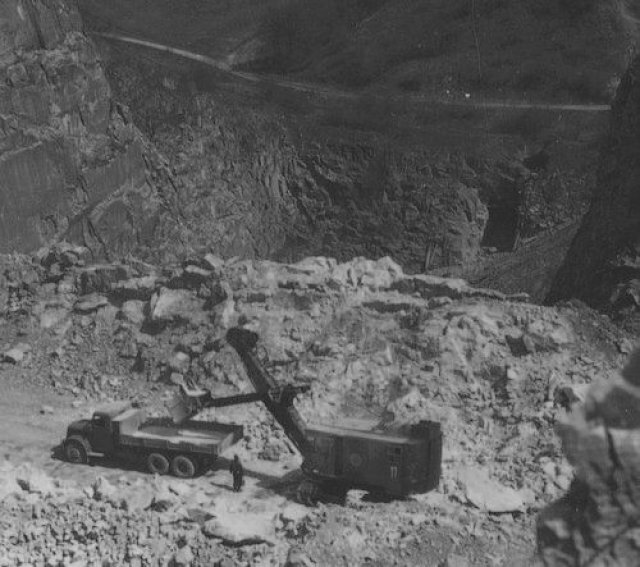 Czech engineer Frantishek Janoshenec described the working conditions of TATRA-111 in Siberia: The Magadan region is more than twice larger than France (1,250,000 square kilometers vs only 547,000) and touches the Ohotskoe Sea on the south. Averagel temperature in this kingdom of perpetual snow and ice is –22°Ñ (-8°F). Locals conside COLD to be under –50°Ñ (-60°F), and often the temperature goes as far down as –65°Ñ (-85°C). In permafrost area the summer lasts for 50 days, and almost no vegitation can grow on the surface. Nevertheless, there were a number of cities, villages and industrial settlements in that area. The only way to reach that destination was by airplane from Moscow or by sea from Nachodka. During the coldest nights the engines would not be stopped for days, and the amount of cargo moved by vehicles was growing year-to-year. Interestingly enough, neither asphalt no cement can be used to build a road in such a climate. 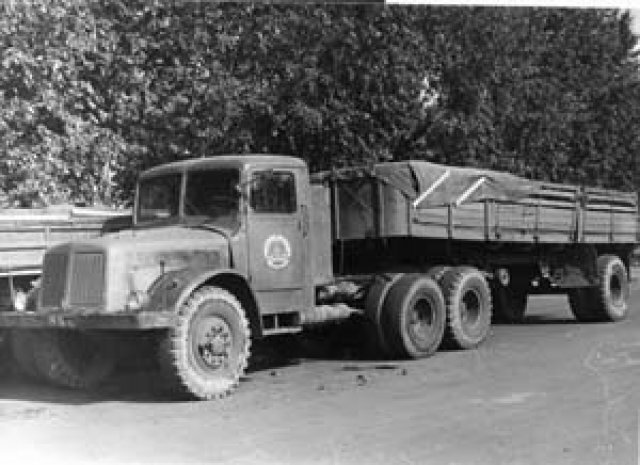 During 1950s, TATRA-111 did not have any competitors while delivering cargo across the Kolima Road that linked the industrial city of Magadan to Chukotka Peninsula. The length of a trip often exceeded 2,000 km (1,250 miles), and the road service was non-existent. 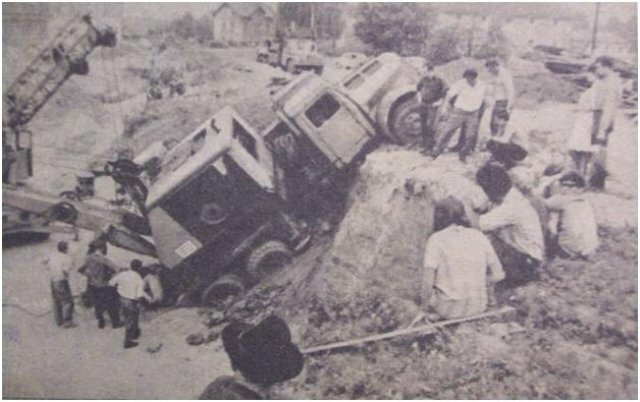 In such harsh conditions all drivers had to go through a special education and had to work as mechanics servicing these vehicles for a year prior to becoming drivers. 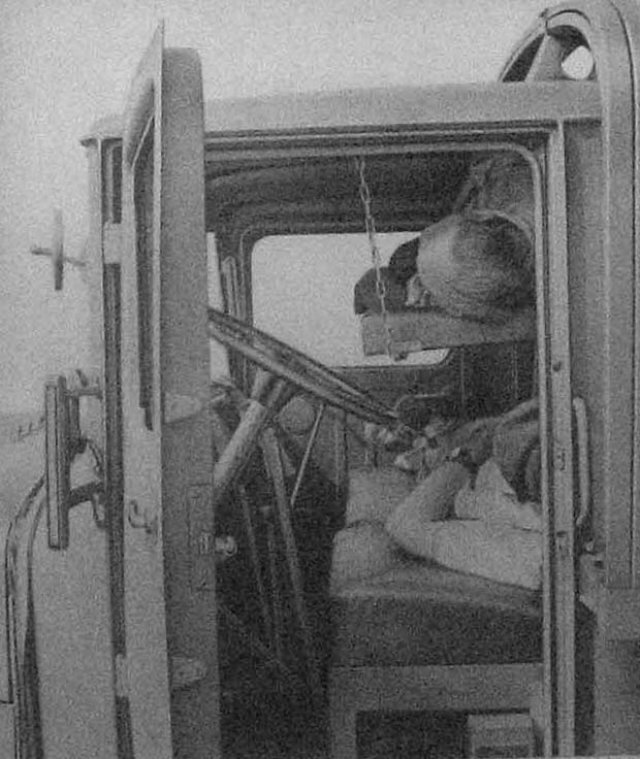 Only drivers who were intimately familiar with the inner workings of the vehicle could fix it on the road were allowed to drive it on long distances. Each small oversight or lack of ability to fix a technical problem during extremely low temperatures could lead to the death of the driver as in many cases external help was not available. TATRAs like people were overworked. Vehicles with 10t capacity were often towking two 20t trailers, so the weight of the entire train exceeded 60 tons. Such auto trains that provided supplies for cities and industry, were moving slowly but carried a lot of cargo. The winter road from Magadan to Yakutsk took approximately 20 days with the average speet of 25 km/h (15 mph). 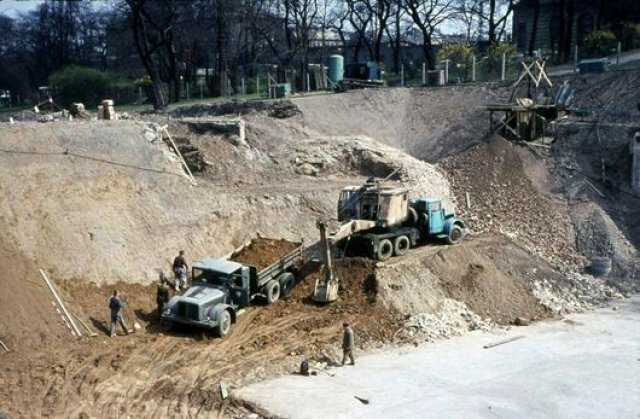 Among the famous projects built with assistance of TATRA- 111 are the Bilibin Nuclear Power Plant, Arkagalinks Coal Power Plant, (coal was supplied by TATRA trucks). One of the TATRA-111S2 trucks serves as a monumnet now near the entrance to the Berelekh auto park. Milage of some of the TATRA-111 exceeded one million kilometers (over 600,000 miles). 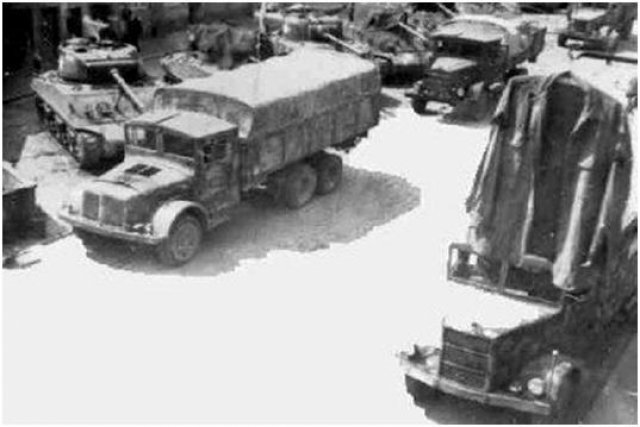 Among the variations that were supplied to the Soviet Union were cargo trucks, dump trucks, ballast tractors, excavators, etc. 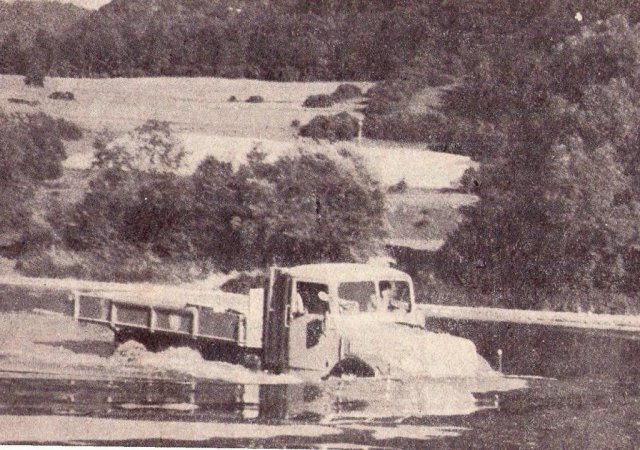 The ballast tractor had a different designation TATRA-141 and was manufactured up until the 1970s. 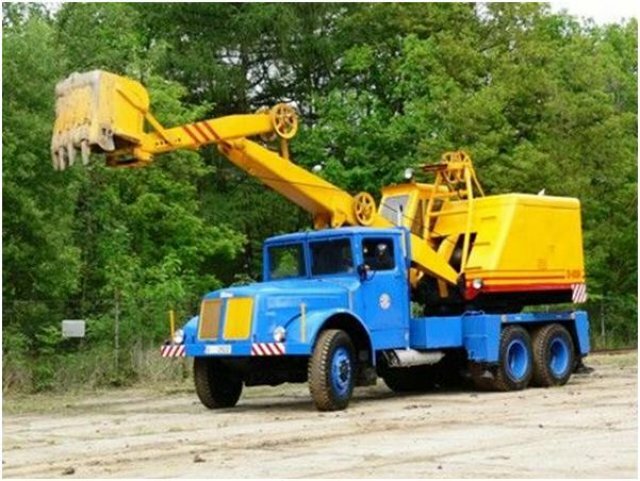 It could tow a trailer weighing up to 100 tons. Later - a sleeper cabin. You can see one of these vehicles that still exists in Czech Republic. Soviet Union also received a number of excavators D-30. This was the first excavator of its class on Soviet construction sites.